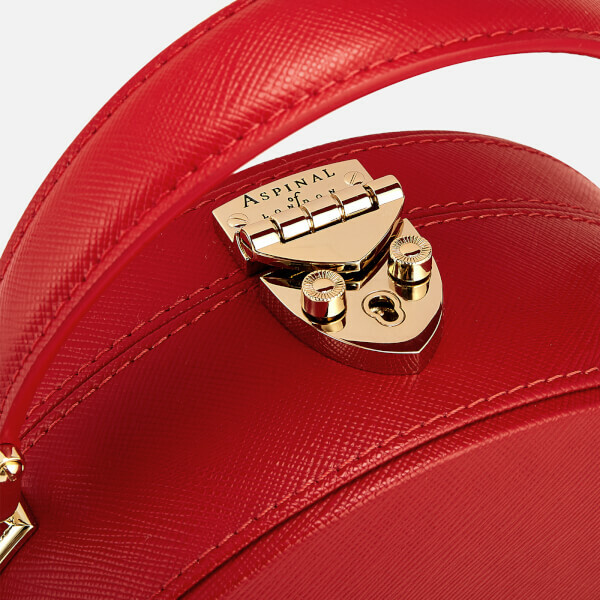 Showcasing a vintage-inspired design, the Aspinal of London Mini Hat Box mimics the style of traditional hat boxes. 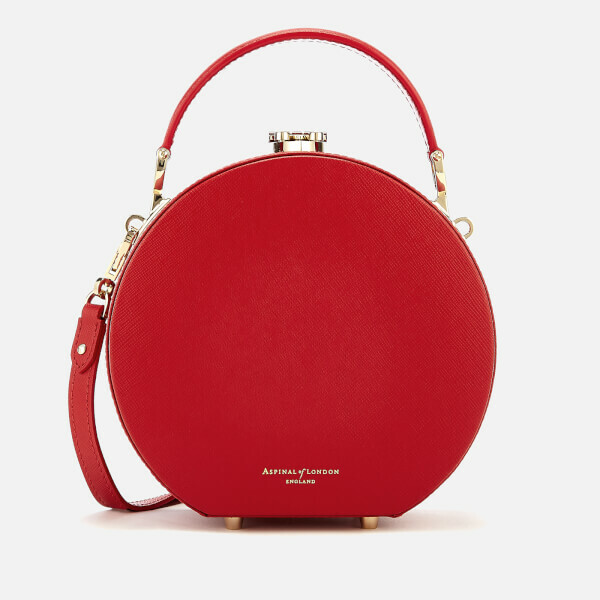 Hand-crafted from the finest Italian calf leather with a saffiano texture, the chic bag has a circular silhouette and retains an air of modernity with Aspinal's signature shield lock clasp closure to the top. 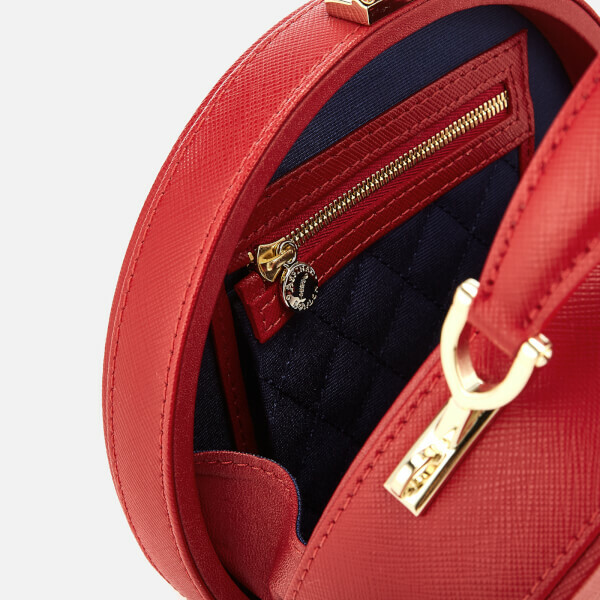 Inside, the mini bag is lined in shimmering grosgrain and features a quilted zipped pocket and single pouch pocket for storing small essentials. 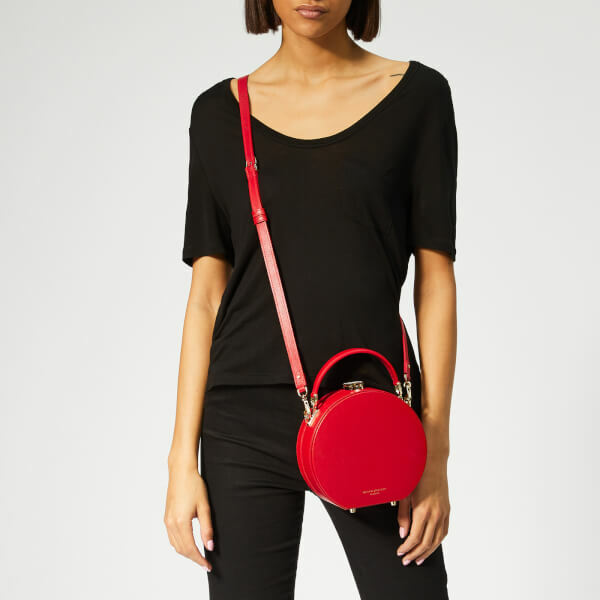 Offering multiple ways to wear, the bag has a top handle for simple carrying, and a detachable strap for carrying on the shoulder or across the body. Studded with protective brass feet. Gold tone hardware and foil branding. Dimensions: H: 18cm x W: 18cm x D: 8cm. Handle Drop: 6cm. 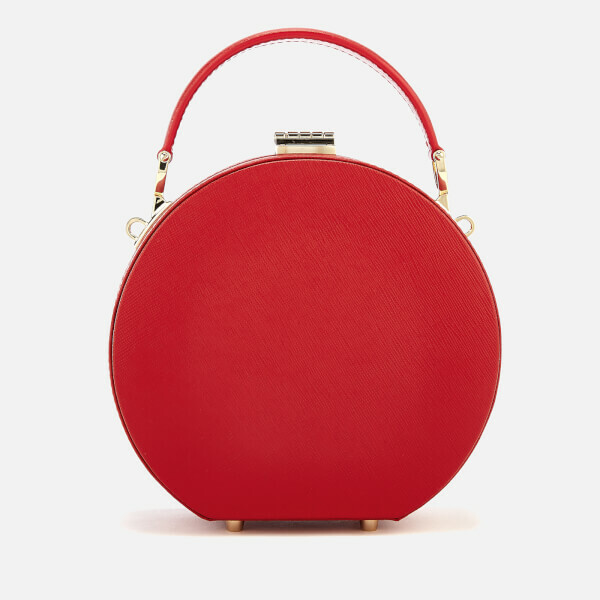 Strap Drop: 63.5cm.